Here comes our master builder. Robocop, Lego, Robocop, Lego, Robocop, Lego. And the winner of Marcus’ moody decision-making process…Lego The Movie! As much as I would like to also see the new Robocop movie our little boy made up his mind before I reached SM cinema’s ticket counter and I agree 100% with his choice. Our son belongs to the huge fan base of the famous building blocks brand that started way before his generation began to connect their first pieces together. Someone whom we observed to be a natural in assembling cardboard puzzles, it did not surprise us when at barely age of three, Marcus showed interest and knack in creating shapes out of his first Duplo set. It was also when he began to be aware that each set has its own instruction manual—one that has to be followed by the number. Thanks to having someone (yes, you Santas in California) who can support him in acquiring the pricey original kits, and as supplemented by the rip-offs and Shell Lego promo items that wifey and I can afford, our son always gets excited whenever he sees the individual blocks form into distinct shapes as shown on each of the boxes—usually followed by the questions why the lighting streaks, the whirlwinds, and other graphics meant for illustrations purposes only always remain missing at each end of the assembly. As a father who knows that these building blocks aide in the learning phase of children, I am among those who strongly enforce that the instruction manuals are followed. And Lego The Movie made me realize that I am President Business as well as I am part of the legions of Micromanagers and even the Good Cop/Bad Cop. Unconsciously, I have become someone who holds the Kragle ever willing to freeze anyone who deviates from the instructions. By being obsessed in keeping the toy appear as it is supposed to be based on its instructions manual, the toy that is designed to foster learning also became the toy that suppresses creativity. Thankfully, someone came up with Lego The Movie to show parents who the real owners of these toys are. 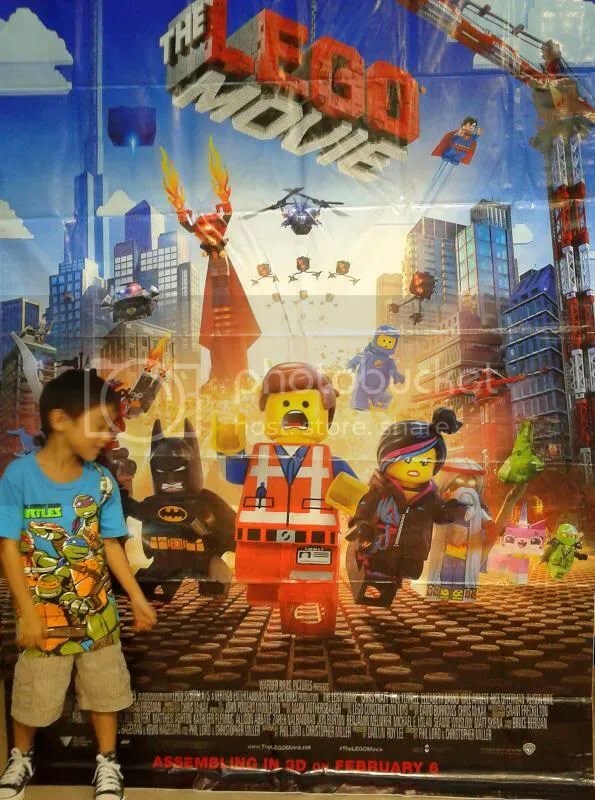 In the movie, the Lego figures did not just move to entertain the kids, it also delivered a very strong message to the adults. Recalling the duration Marcus has kept his 3D glasses on, I would say that this beats other 3D he has watched so far. It was two ‘buttered-popcorn’ thumbs up. I admit, however, that while I will likely continue to keep an eye on how he takes care of his Lego sets, I will now give him more freedom this time. No more Kragling. I will now let him fly and slam his Jay’s Storm Fighter plane into his Kai’s Blade motorbike as its masked rider stalks in front of the brown snake temple that is built under the shadow of the Duplo mega carwash-mall-fire department building wherein a smiling dog stands beside a giant fireman who seems to be talking to a bearded bad guy who just got away with a huge bullion but with nearby Lego City cop figure in pursuit followed by an army of fake Star Wars characters flanked by genuine Ninjagos and as viewed by the shocked fresh out-of-the-box Chimas. Whew, such chaos. I now wonder if somewhere someone will indeed sing “everything is awesome!” I will let you know. Drafted this while at a radioactive environment.